The Irish Republic's abortion referendum result "has no impact upon the law in Northern Ireland", according to DUP leader Arlene Foster. Sky News understands Downing Street believes reform "is an issue for Northern Ireland", a signal that Mrs May will resist calls for action. 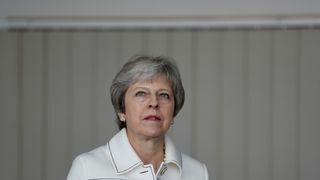 "This is a matter for the people and politicians of Northern Ireland, which is why we are focusing on getting the Executive up and running again," a source told Sky News.This was echoed by Ms Foster, who said: "Friday's referendum has no impact upon the law in Northern Ireland, but we obviously take note of issues impacting upon our nearest neighbour. 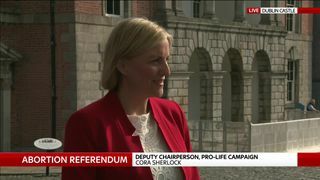 "A referendum was held in the Republic of Ireland because of the constitutional prohibition on abortion that existed there. No such constitutional bar exists in Northern Ireland. "The legislation governing abortion is a devolved matter and it is for the Northern Ireland Assembly to debate and decide such issues. "She added: "I want to see the Northern Ireland Assembly restored and put no preconditions on the immediate establishment of an executive. "Some of those demanding change are the same people blocking devolution or demanding that Westminster change the law whilst simultaneously opposing direct rule." Sinn Fein vice president Michelle O'Neill said it would be her preference for the decision to be taken in Northern Ireland, but in the absence of a government at Stormont "we have to find a way to deliver rights".Currently, abortions are only legal in Northern Ireland if the life or mental health of the mother is at risk. 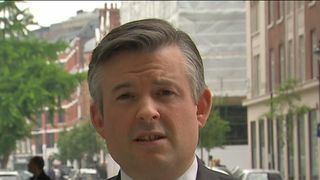 Labour's Jonathan Ashworth told Sky's Ridge on Sunday that women in Northern Ireland "should have the same rights" as those in the rest of Ireland. 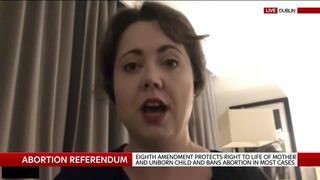 Mr Ashworth, who is shadow health secretary, told Sky News: "I don't think it's sustainable that women in Northern Ireland should be denied this and be out of place from the island of Ireland and the rest of the United Kingdom. "Cabinet minister Penny Mordaunt, who holds the women and equalities brief, said the result was a "historic and great day for Ireland" and a "hopeful one for Northern Ireland".According to the Sunday Times, four former holders of the role - Amber Rudd, Justine Greening, Nicky Morgan and Maria Miller - all support Ms Mordaunt in her backing for change in Northern Ireland. Education minister Anne Milton suggested she would support liberalisation if there was a free vote, telling ITV's Peston on Sunday that the current situation "does feel anomalous".Scores of MPs from across the Commons have indicated they are willing to act to rewrite the current legislation, with the forthcoming Domestic Abuse Bill a potential vehicle for efforts to change the law.Labour has said it is "looking at legislative options" for extending abortion rights to Northern Ireland. Conservative MP Sarah Wollaston told Sky News it was her expectation that an amendment to the Domestic Abuse Bill will be tabled in the Commons, although it may not come to a vote if it is not selected by the speaker.The chair of the Commons health select committee said "at the very least" there should be a referendum in Northern Ireland, because "times are changing, opinions are changing".Addressing concerns a move to reform abortion laws could create a political crisis for Mrs May, Ms Wollaston said: "Although we have a confidence and supply arrangement with the DUP, we're not in coalition with the DUP. 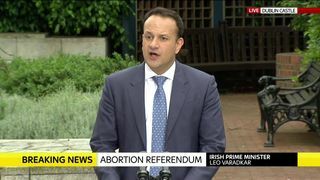 "As I say, these things tend not to be party political issues, there's long been free votes on the issue of abortion." 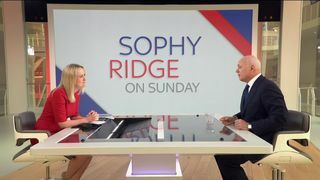 Lib Dem leader Sir Vince Cable said: "The position in Northern Ireland is now highly anomalous and action will now have to be taken. Theresa May cannot remain silent on this issue. "Since there is, effectively, direct rule from Westminster, the UK government has the responsibility. It can and should take the opportunity to deal with this issue properly. 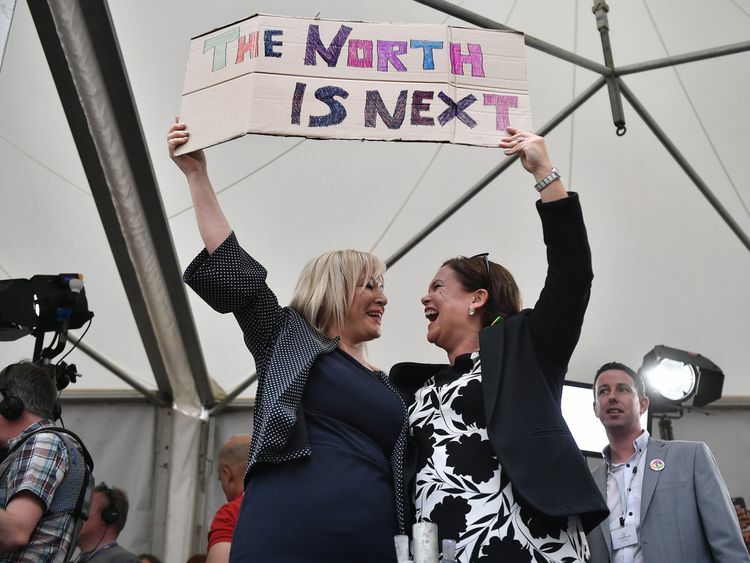 "But while political leaders in the Republic were front and centre of efforts for a Yes vote, a majority of politicians in Northern Ireland do not back the changes now proposed south of the border.